There's so much more to do that sit around and watch corn grow! 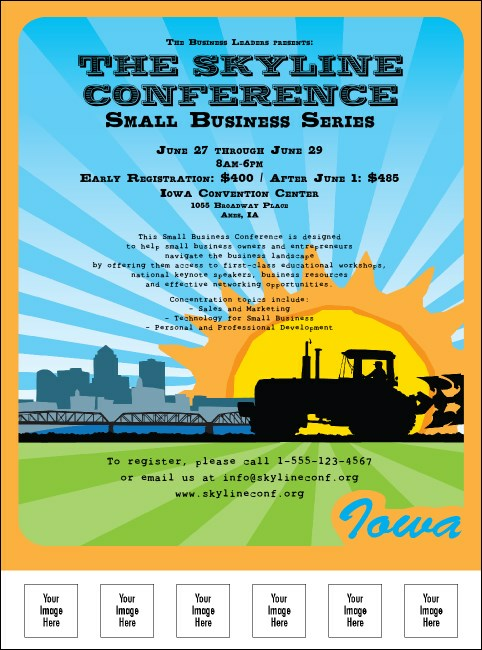 Make sure your next local event is a hit with the Iowa Flyer. Printed in bright colors, this flyer features a prominent image of a tractor and space for six images of your own on the template. Make your next Hawkeye State venture shine with promotional materials from TicketPrinting.com.